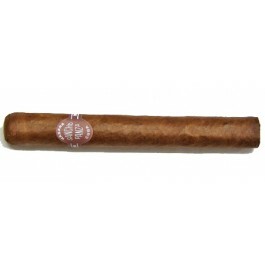 The Sancho Panza Non Plus is a delightful and creamy medium bodied Petit Corona, 5.1” (129mm) long, of 42 ring gauge, and comes in a 25 cigars box. It is somewhat close to a Vegas Robaina Familiar in taste. It presents a nice mix of flavors in the palate, such as earth, wood, peat, leather (quite salty and dank flavors), but there is also some sweetness of cocoa, vanilla, chocolate and some fruity notes of raisin, and hints of oatmeal. For such an attractive price, it would be a miss not to try this Habanos. It can be a bit young and powerful, but overtime, after 2 or 3 years of ageing, the flavors will be magnified. It is definitely a cigar that deserves publicity. 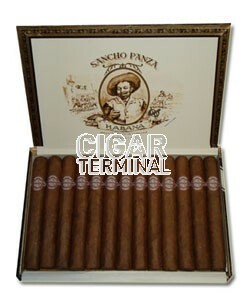 The Sancho Panza Non Plus is not the most famous Petit Corona, but merits publicity. • In addition to the dominant tobacco flavor, there is a lot of earth, wood floral notes, cocoa and pepper. • A cigar that has a great potential for ageing. This cigar simply packs great Cuban flavors for an affordable price. The cigar has a nice appearance, even if the wrapper has this rustic kind of look, it is smooth and the triple cap is perfect. It has a nice Colorado Maduro color, with one or two noticeable veins and an appealing oily sheen. The cigar is light and there are no apparent soft spots. The wrapper smells of dank aromas, wet earth, mushrooms, wood, with also some hay and floral notes. Cutting the cigar is easy, the draw is perfect and dank flavors reach the palate. Once lit, the burn line is neat, and even. The first puff gives some straightforward tobacco, and some saltiness. The ash is gray and firm. The first third of the cigar is of medium body, dominated with flavors of leather, earth, and of salted tobacco. There are also some floral notes, and some light sweetness on the palate. The cigar is still burning well, producing nice amount of tasty smoke. In the middle third, the dominant flavors remain basically the same, however, with more musty flavors, such as a nice pu-erh tea, more saltiness and some spices as well. There are also creamy notes appearing, some chocolate, vanilla and hints of bitterness of citrus. Overall, the middle third of the cigar is in the same medium to high range. In the final third, the cigar strength goes up a notch while the flavor profile remains similar. There is even more tea flavors, more saltiness and more white pepper. The cigar burns great all along and until the nub when unfortunately, it is time to leave it in the ashtray. In summary, it is a great Petit Corona; it has great flavors and that ages very well.